This one day course consistently receives high marks from innovation executives and training professionals. 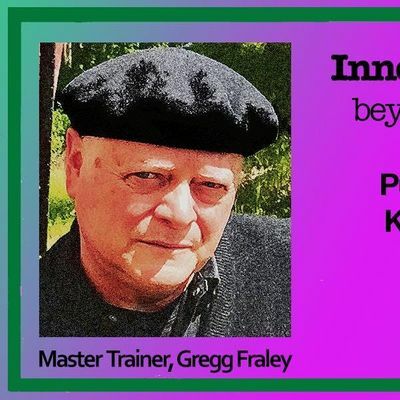 Innovation Intensive, beyond Design Thinking is comprehensive in its approach and provides compelling methods, insights, tools, and stories from master trainer, Gregg Fraley. If you are seeking to enhance innovation culture and jump-start or improve innovation efforts, this is the course to attend. Send new project leaders, managers, facilitators, and essential innovation team members. This public course is at a significant discount to on-site courses delivered directly to organizations by Gregg Fraley Innovation (GFi). This training provides a firm grounding in innovation concepts and best practice. It builds awareness of the why and how of innovation programs. The focus is on the front-end-of-innovation, where challenges are identified, ideas are generated, refined, and pitched to management for further development and resourcing. It provides a complete framework for innovation project management, as well as a compare and contrast of the most commonly used frameworks (useful for those in framework selection mode, including Design Thinking, Agile, Lean, TRIZ, Synectics, CPS, Theory of Constraints, and others). The course explores longer term innovation road-mapping and links to organizational strategy and purpose. Two key areas of instruction are: 1.) essential project management steps and, 2.) the “how-to” of innovation facilitation. Unlike most innovation courses, Gregg instructs ways to blend frameworks and use the best tools within frameworks. Approaches to the new challenges related to Digital Technology Innovation are discussed. The course includes extensive take home materials, including: a shell innovation cycle and innovation mandate document, idea development templates, post-session coaching, and post-session strategy and ideation session design consultation. 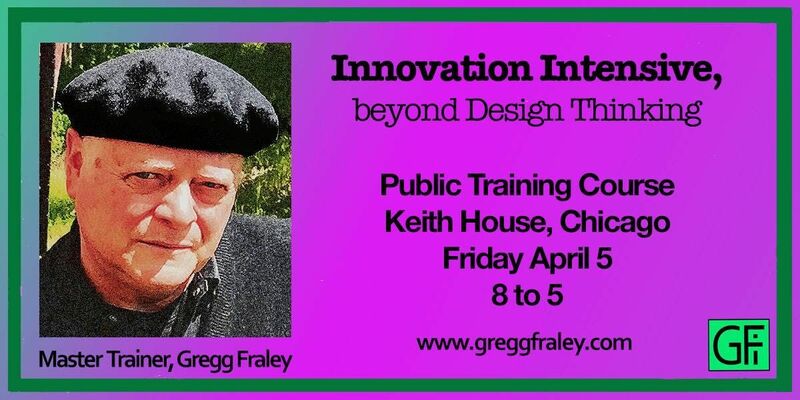 Gregg Fraley has trained innovation professionals around the world. His training clients include: Coca-Cola, Georgia Pacific, AbbVie, W.R. Grace, Sanofi, and many others. His experience as an entrepreneur and product inventor sets him apart from most innovation trainers. Contact GFi for pricing and registration information. *The Keith House is a historic mansion in Chicago’s Prairie Avenue district, convenient to the loop or McCormick Place.